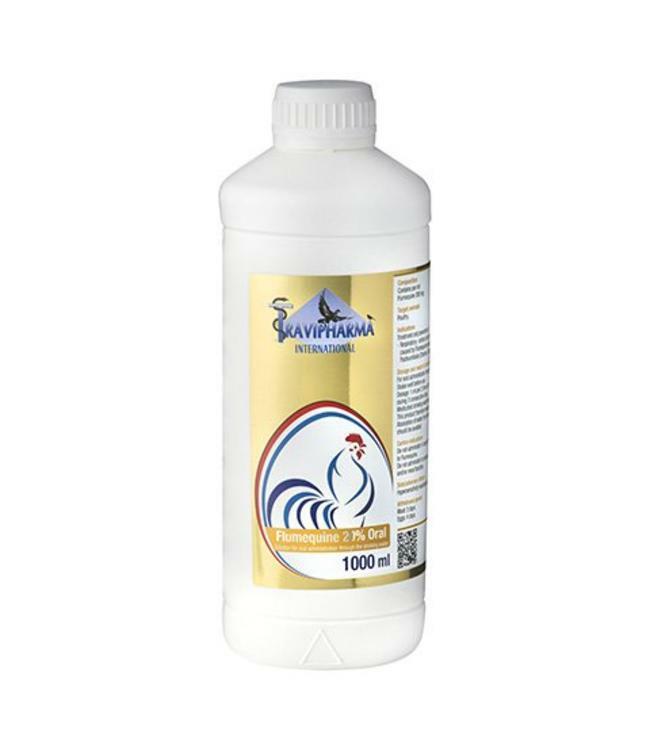 For the treatment of: Respiratory, urinary and gastrointestinal tract infections caused by Flumequine sensitive micro organisms, such as Pasteurellosis (Cholera), Colibacillosis, and Salmonellosis. For oral administration through the drinking water. Shake well before use. Dosage : 1 ml per 2 litres of drinking water, during 3 consecutive days. Medicated drinking water should be used within 24 hours. This product therefore needs to be changed daily. Contains per gram: Flumequine 200 mg.